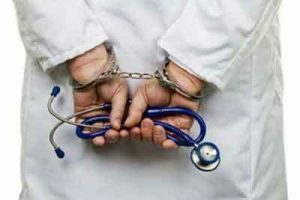 COIMBATORE: A 65-year-old doctor was arrested today for allegedly making sexual advances to a woman who visited his clinic along with her ailing mother, the police said. The doctor was arrested and remanded for 15 days and currently lodged in the Central Jail. As far as I know,he is a compassionate<humane surgeon.He is not charging much also.I could not understand why he chose the attendant\'s body to explain things.There would have been staff also.We have to wait. two females were already there . Doctor liked younger one . So the action . BE HUMAN AND MORE IMPORTANTLY, TO BE HUMANE….WHITHER PROFESSIONALISM, ETHICS AND MORALS….LORD HIPPOCRATES PLEASE NOTE!